"Her voice is amazing, like a blanket on a raw winter evening." Praise For "Live and You Learn"
"...her varied approach brings to mind the music of Don Henley..."
"The songs on Kelly Riley's Live and You Learn burn with sincerity and stellar musicianship..."
"Live and You Learn is perfectly produced imagery deserving as much exposure as possible. It's a beautiful work." 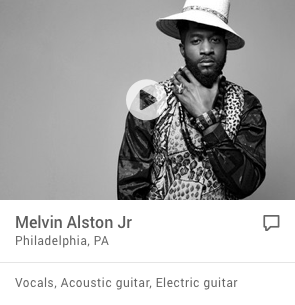 "An amazing musical talent ... with a mesmerizing voice capable of hitting the high places easily. Her voice resonates for those of us who like our music to take us far away. (Her) CD is very intense, intelligent, highly evolved... they are songs about love and life, about love lost and gray winters. They are passionate songs passionately sung." ""This debut album by singer songwriter Kelly Riley is impressive throughout! Touching on many aspects of musical styles, Kelly Riley is very adept in blues, soul, pop, and she performs her ballads beautifully. This album contains some very intense and catchy songwriting with equally strong lyrics. I was very impressed with the depth of the songwriting. Strong and emotional tunes about love and life that really take you in are immediate in Kelly's songwriting. A former Berklee student, Kelly has great knowledge of song crafting and avoids being a "cookie-cutter" songwriter with interesting chord changes and melodies. Her voice is amazing, with a smooth delivery that wraps you like a blanket on a raw winter evening. Kelly Riley, also a successful voice teacher, utilizes great control from beautiful soft passages to powerful "epic" choruses. The musicians are strong on this album and support her songwriting with great conviction. Kelly Riley has really caught my ear and I'm excited to hear a debut album this mature and polished. Faves are "Just Say You'll Be Mine," "Live and You Learn," "Gonna Take Some Time," and the beautifully done "When All Else Fails." An outstanding album by an up-and-coming artist that has the potential to be another "star" from New England!" Kelly Riley is a wonderful talent. Writing, singing, performing, she has it all. A great package." "Kelly Riley's debut CD, Live and You Learn, is a smartly crafted group of original songs ... there are songs that would sound good on `alternative rock' radio and others that could easily please country music lovers ... her varied approach brings to mind the music of Don Henley, especially the way he takes disparate influences and makes them his. Riley has already found her voice and (is) doing her best to find an audience." "Kelly Riley's appearance on WLIS & WMRD was our Spring Highlight. Her personality, and, most importantly, her songs spin volumes of stories in but a few memorable words and melodies. She is welcome with our audience at any time." "The songs on Kelly Riley's Live and You Learn burn with sincerity, stellar musicianship and vocal performances up there with the best. Keep 'em coming!" " ... an absolutely beautiful singing voice... (her lyrics) tight in rhythmic structure... Her song, Love Bug... with its speak-sing intro, draws immediate attention... Kelly has a knack for using incredible musicians... the lead guitar is always driven and always precise... 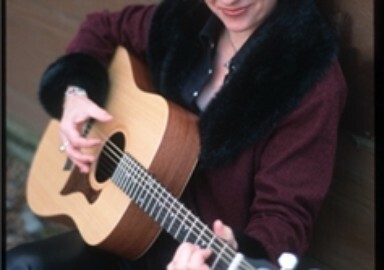 Songs, such as Gonna Take Some Time, that include strings, come off as elegant and well arranged... the elements are there, being excellent singing and musicianship..."
"Singer-songwriter Kelly Riley puts her best foot forward on this new recording, featuring her gutsy vocals, multi-instrumental talents and songwriting savvy. Her voice is capable of incredible highs and powerful lows ... this is an effort of merit." "Live and You Learn" is an overpowering title track on an overpowering album by Boston-area singer Kelly Riley. The song subsides into "One Kiss for the Road," a real heartbreaker, and the wide scope of this artist spans across the disc, with "When All Else Fails" working like the best of Dan Fogelberg, only from a woman's point of view. The blend of jazz on the fourth track's "See You Again" goes deeper into the introspection; one can learn as much about her passion from the nuances of her voice as they can from the lyrics. There are some amazing women songwriters out there — fellow Bostonians Les Sampou and Deb Pasternak. New York's Deena Miller, L.A.'s Cynthia Catania — all repaving the path Didi Stewart and Aimee Mann pioneered. Much depth is embraced by "See You Again," but an equally important point about this recording is that the moods change like the channels on a television without disrupting the flow of the music, a real balancing act. Riley pulls it off, the muffled Lynda Stephens sax the perfect complement to the cascading \ piano lines of "See You Again." Alongside the singer/songwriter is former Joe Perry drummer Joe Petruzelli, former Willie Alexander bassist Brandon Pritchard, and Jeannie Deva guitarist Joe Mack. "Love Bug" continues shifting scenes, a Rickie Lee Jones-type vamp with a New Orleans feel, background vocals slinking through the mix. "Nothin' Left to Do," yet another song bidding adios to a lost love, has sharp lyrics and equals the title track for intensity. Deb Pasternak works these themes, and like Pasternak, Les Sampou, and the remarkable You Know Me album by Jackie DeShannon, Live and You Learn is perfectly produced imagery deserving as much exposure as possible. It's a beautiful work. "Live and You Learn"; National and International radio play and placements on Daytime Television programs such as "The Young and the Restless" and "One Life to Live". Currently recording second CD, to be released in Spring, 2011. "You were right, I was wrong". He said, "Sister, I'll take care of you." He said, "Mama, I'll take care of you." And he heard, "Brother, I'll take care of you." She said, "Daddy, we'll take care of you."